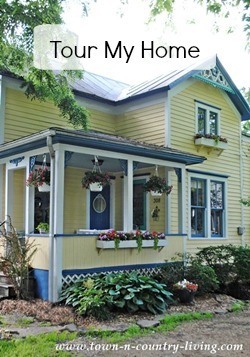 Decorating styles come and go and I imagine at some point in the future, people will begin to crave colorful kitchens after white kitchens start to fade in popularity. 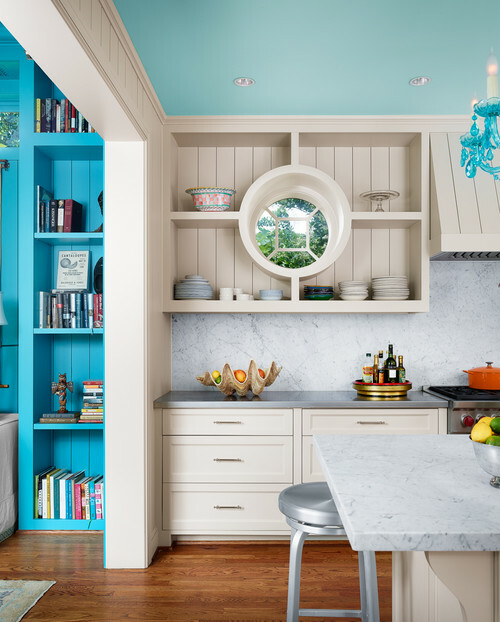 Here are 13 beautiful examples of charming kitchens with pretty colors! Adding color to a mostly white kitchen is easy to do. 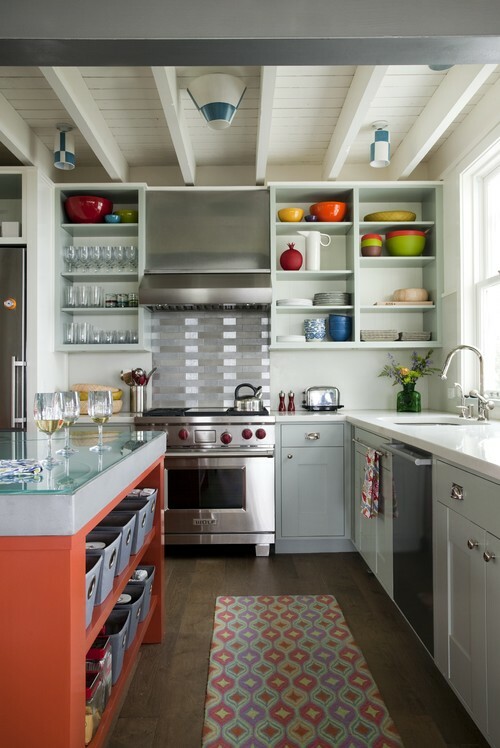 Here, Alison Kandler, one of my favorite interior designers, fills open kitchen shelves with brightly colored dishware. Here’s another take on brightly colored dishes taking up residence on open shelves. Another way to create colorful kitchens is by using patterned window treatments. Rather than paint kitchen cabinets a fun color, how about adding a blue hue to the ceiling? 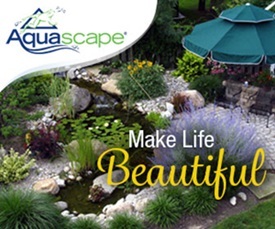 The color is a softer shade of the bright aqua shown in the adjacent room. If you’re brave enough to embrace a more permanent use of color in your cooking space, consider a playful back splash. White cabinetry allows the perfect opportunity to add colored appliances. 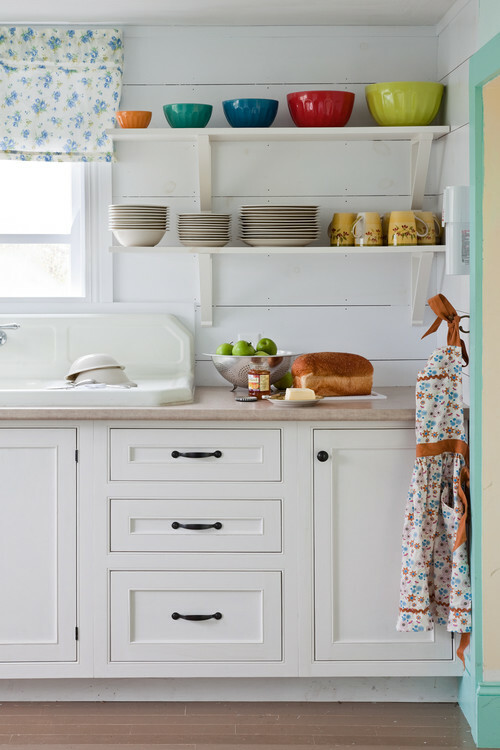 Note the sweet red drawer pulls – just another way to create colorful kitchens. A free standing hutch in the shade of mint ice cream complements the playful dishes on the open shelves. Rose patterned upholstery on a nearby chair plays up the pink! 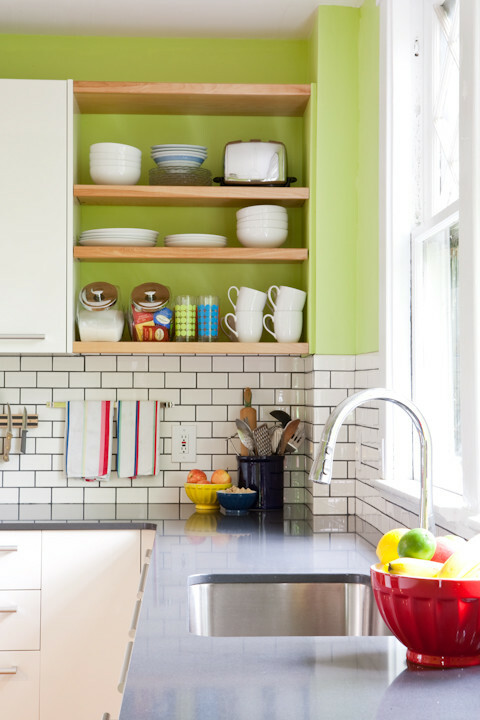 Pretty apple green paint isn’t overwhelming when used on just the upper walls of this eclectic kitchen. If you get tired of the color, simply re-paint! 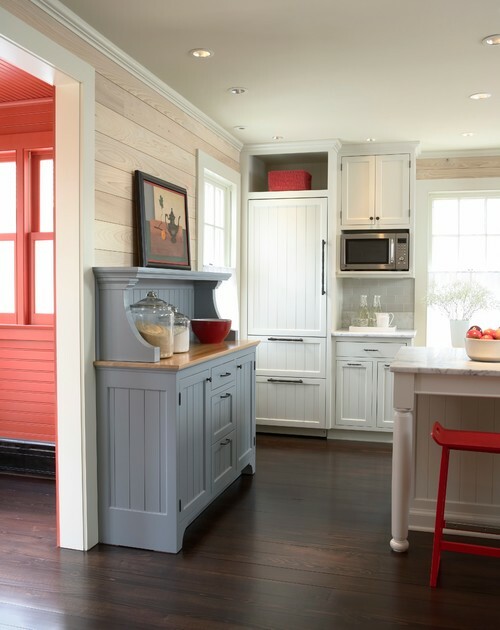 Cheery pops of red perk up a neutral farmhouse kitchen and looks great with the gray hutch. More apple green! 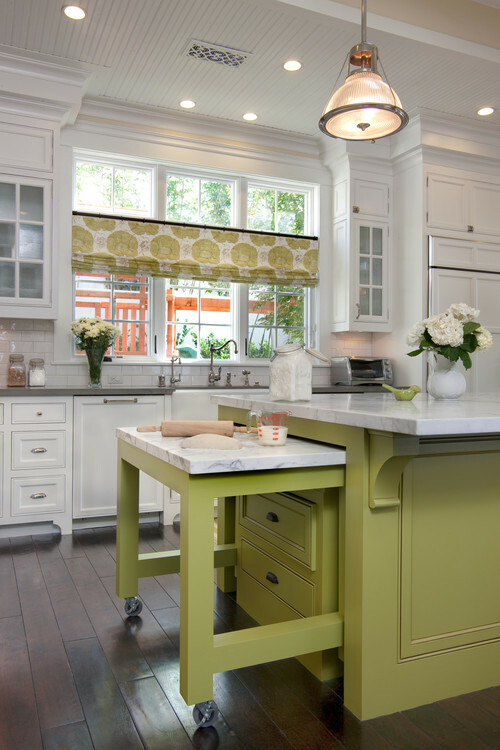 I love when a kitchen island is painted a fun shade of color. 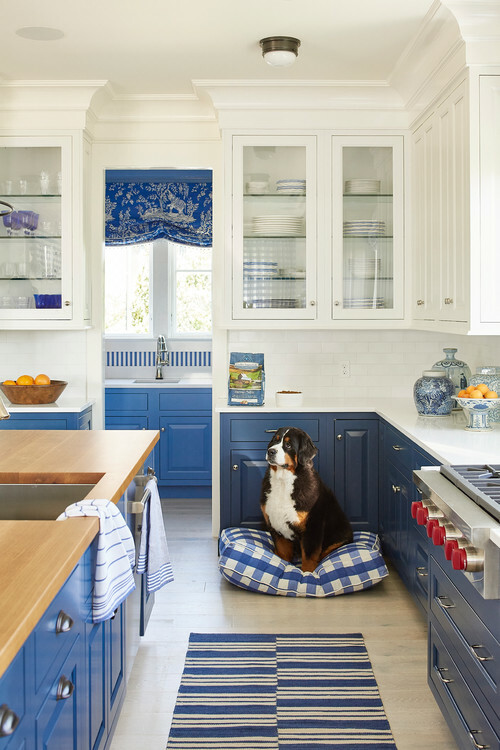 Periwinkle looks equally charming on a kitchen island. 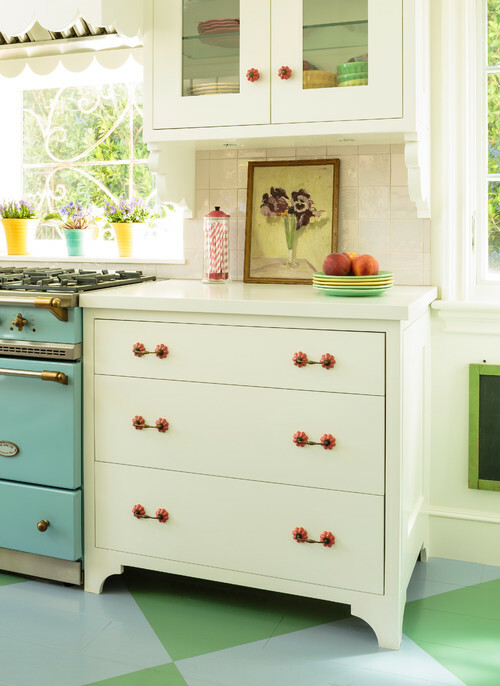 Creating colorful kitchens becomes easier when you can simply paint your island a fun hue! 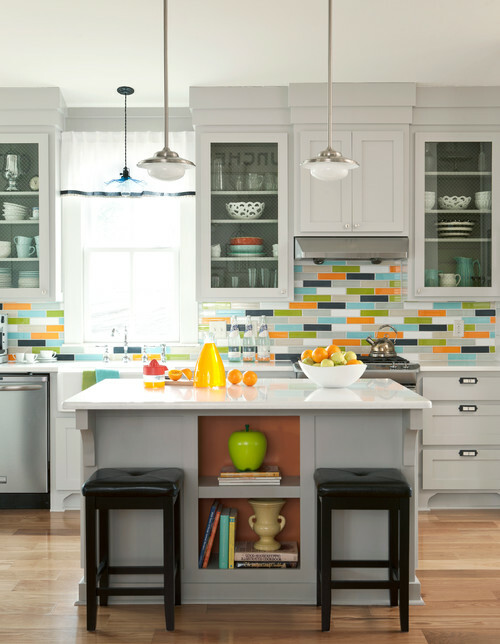 What do you notice first about this colorful kitchen? 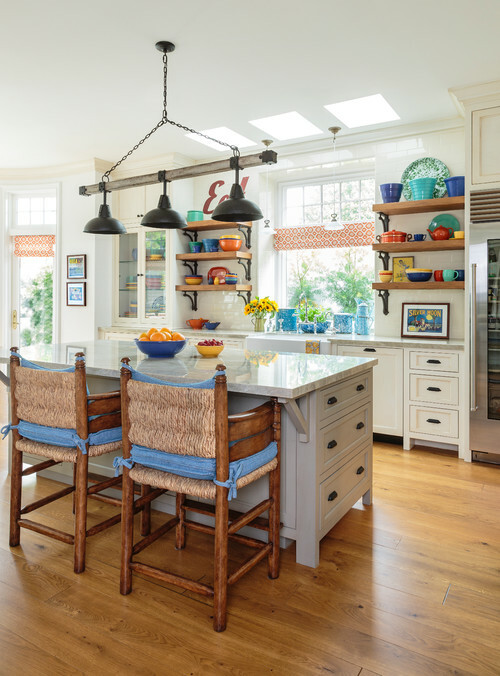 Is it the orange island, the brightly colored bowls, the patterned rug, or the unique light fixtures with color blocks of turquoise? 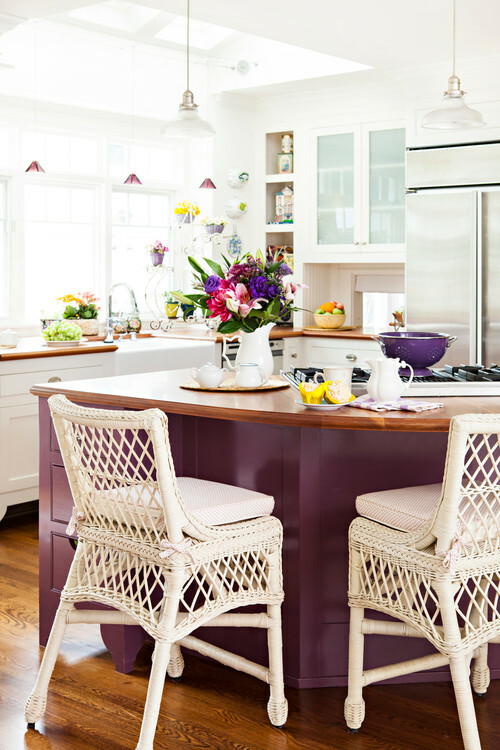 And finally, a homeowner who embraces shades of purple in her colorful kitchen! If you could add any one color to your kitchen, which would it be? Love all these, especially the purple island! Our cabinets are a shade of sage green, with a couple of ivory units thrown in for contrast (the plate rack, the tea cupboard open shelf, the bookshelf and the range hood). The ivory matches our AGA range. We love our kitchen so much! It will likely be a bit of a harder sell down the road when we move but at that time, our choices would be to resurface the cabinets OR leave it with the hope someone else will appreciate the unique colors. Chy, your kitchen sounds amazing!! I love sage green and pairing it with ivory is a perfect choice. You must’ve had so much fun pulling it all together! You’ve got a lot of wonderful unique details in your kitchen – truly one of a kind! I agree with you wholeheartedly about the purple island – it was love at first sight when I first saw it! I like certain shades of green in a kitchen. I thought these white kitchens with a pop of color were certainly pretty. The color seems to make the kitchens feel more comfy somehow. Hi Vicky! I like the white kitchens with pops of color, too. The colors really personalize the space! I love the white kitchens with the colored dishware on the shelves. 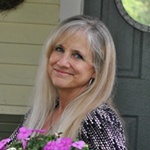 It naturally appeals to me since my everyday “china” is inexpensive, with 4 solid colored place settings – one gold, one green, one purple and one turquoise – all able to be mixed and matched. When my table is set with these casual settings, it makes me happy – like an every day Cinco de Mayo. My guests seem to love it also. 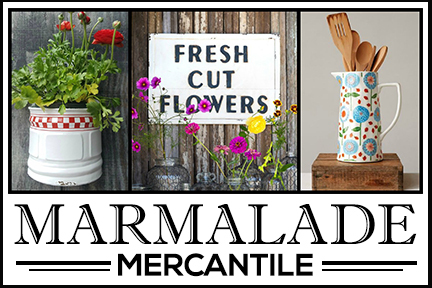 White dishware is great for more formal meals, but I’m a casual entertainer and believe that color will be coming back – especially to kitchens. I truly don’t know what color,but i loved all these kitchens with the differences to them. A kitchen should take on the personality of the cook and i would love to go pick a color and put it some where in my kitchen. They’re all fun. I like all the different styles. Me too, Marty! There’s something about each style that makes it unique and appealing! They are all so pretty . 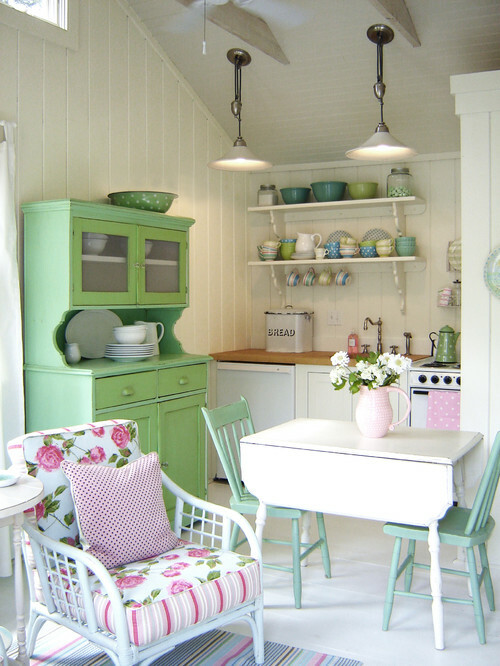 . . give me painted cabinets, they just scream charm, but in a calm way, LOL. 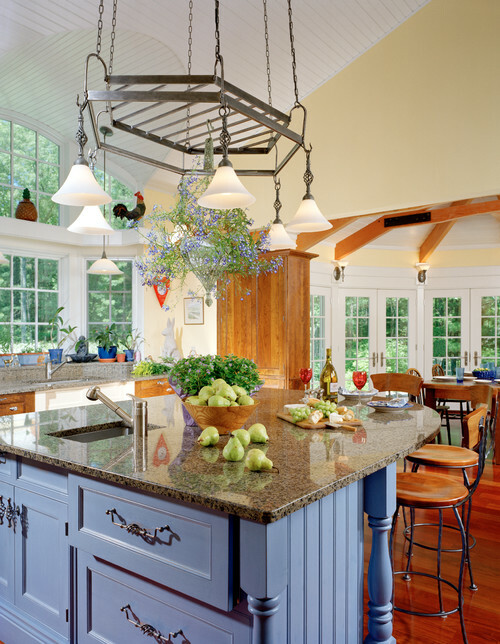 just love the color in these kitchens! Each one is gorgeous! I especially love the apple green kitchen. It makes the room pop! Wonderful job!